KATOWICE, Poland (Dec. 5, 2018) – After 10 years of studying and analyzing REDD+ through its Global Comparative Study, the Center for International Forestry Research (CIFOR) has published a new book, Transforming REDD+: Lessons and new directions, which provides a critical, evidence-based analysis of REDD+ implementation so far. Transforming REDD+ (Reducing Emissions caused by Deforestation and forest Degradation) covers financing, national politics, assessing impacts and evolving initiatives, plus lessons for the path to transformational REDD+. The book also delves further into results-based payments; integrating REDD+ into nationally determined contributions (NDCs); multi-level governance; well-being impacts; the private sector and more. “We are very excited to launch this book. We have worked hard with 62 authors to summarize the latest knowledge on REDD+, based on our own ten years of research and the work of others. We expect the format of 16 very brief chapters will make this knowledge available to everyone working on forests in climate change mitigation,” says Christopher Martius, CIFOR Team Leader of Climate Change, Energy and Low-Carbon Development. Transforming REDD+ will be presented at COP24 with a press conference at 9:30 (GMT+1) on Dec. 6 in the Press Conference Room Katowice. For those who cannot make it person, a livestream will be available on CIFOR Facebook or https://unfccc-cop24.streamworld.de/upcoming. The authors are also available for remote media interviews. CIFOR will also host an official COP24 side event, “What has REDD+ achieved: Empirical evidence for transformational change?” with the Green Climate Fund’s Independent Evaluation Unit and Wageningen University & Research. The side event will take place at 18.30 (GMT+1) on Dec. 6 in the Warmia Room (Area G). Join the Skype webcast on https://join-emea.broadcast.skype.com/unfccc365.onmicrosoft.com/097ec28b36e24973a5d57b697013d8d2/en-US/ or watch live on CIFOR Facebook. 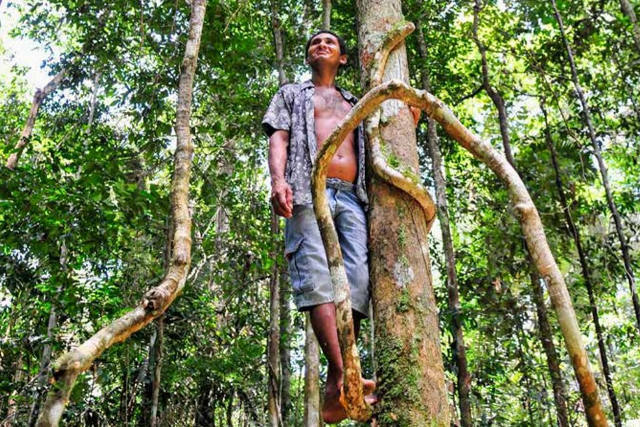 The full PDF of Transformational REDD+: Lessons and new directions can be found at https://www.cifor.org/library/7045/. For more information about CIFOR’s Global Comparative Study on REDD+ please visit the official website: https://www.cifor.org/gcs.